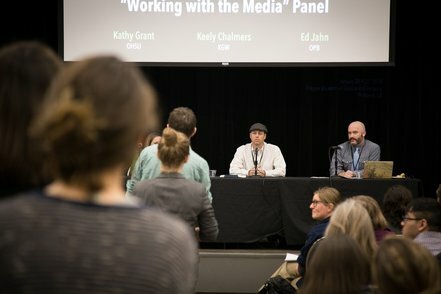 I moderated the "Working with the Media" Panel at Science Talk NW. Along with being a scientist, I'm also a trained public information officer (PIO) and public affairs officer (PAO) within the federal government. I'm heavily involved in improving people's ability to communicate more effectively, both professionally and personally. This includes contributions to science communication, public speaking, parenting, and community engagement blogs, websites, podcasts, and videos that promote good communication. I have spent significant time speaking with different audiences, and even worked with the U.S. Bureau of Land Management as media lead and spokesperson.